The Garmin Bronze Thruhull Transducer for GSD 20/21/22, Garmin Chartplotter/Sounder or Garmin Fishfinder with fairing block operates at 50/200KHZ and provides accurate Depth, Speed and Temperature readings. The Raymarine Transom Mount Dual Frequency Transducer provides accurate readings of depth, speed and temp to your Raymarine Fishfinder. 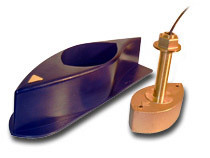 The Raymarine B744V Bronze Thru-Hull Transducer is a dual frequency, 50/200kHz, 600w triducer that provides accurate readings of speed, depth, and temp and comes with a high speed fairing block. The Garmin B260 1kW Bronze ThruHull Transducer with high speed fairing block provides the best fishfinding performance thanks to broadband technology. 50/200Khz Dual Frequency. Furuno 527ID-IHD 1kW Transducer, M260, with In-Hull Mounting Kit is a dual frequency 50/200 khz. Perfect for high speed fishing boats or for anyone who does not want to cut a hole in their boat's hull. 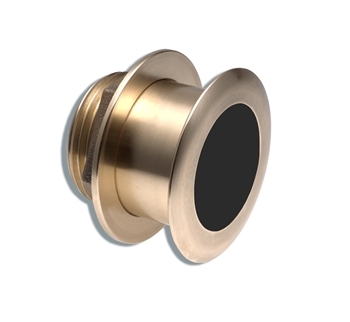 Furuno 525TID-BHD Bronze Thru-Hull 1kw 50/200 kHz. Includes High-Speed Fairing Block. The most popular choice for commercial fisherman. 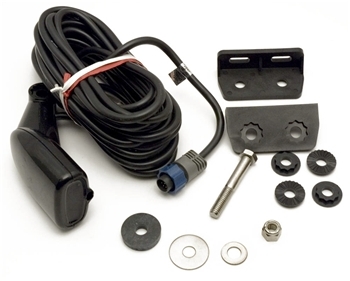 Garmin M260 1kW Transducer with In-Hull Mounting Kit. Perfect for high speed fishing boats or for anyone who does not want to cut a hole in their boat's hull. 50/200khz, Depth Only. 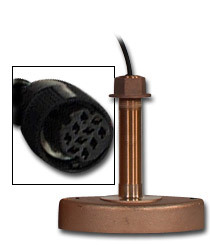 Garmin Bronze 1KW Thru-Hull Transducer with Depth and Temp. Includes high speed fairing block. The most popular choice for commercial fishermen. Garmin 010-10982-01, B60 12 Bronze Low Profile Thru-Hull Transducer with 12 degree tilted element and temp is designed to work on boats with deadrise between 8 and 16 degrees. Does not need Fairing Block. 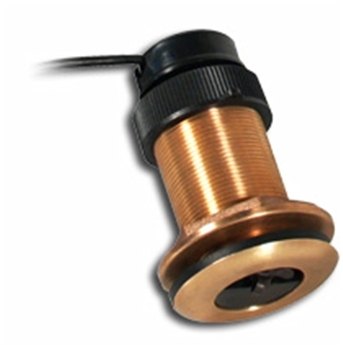 Furuno 525T-LTD12, B60 12 Bronze Low Profile Thru-Hull Transducer with 12 degree tilted element and temp is designed to work on boats with deadrise between 8-16 degrees. Does not need Fairing Block. The DST800 is a plastic thru-hull smart sensor that will provide digital depth(numbers only), speed and temp to any existing NMEA 2K network. 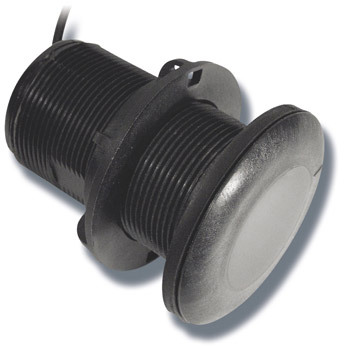 The DT812 is a flush mount, plastic thru-hull smart sensor that will provide digital depth(numbers only) and temp to any existing NMEA 2K network. 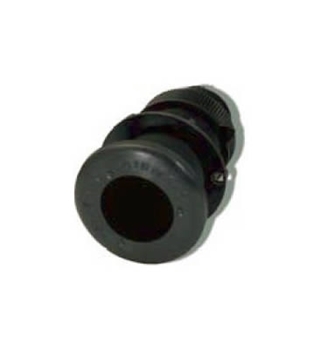 The DT820 is a flush mount, plastic thru-hull smart sensor that will provide digital depth(numbers only) and temp to any existing NMEA 2K network. 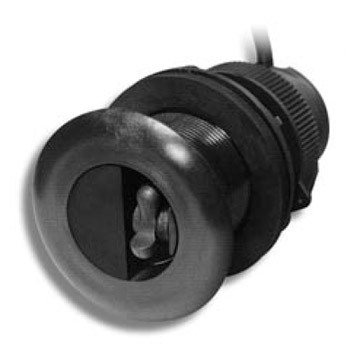 This NMEA 2000 P39 transom mount smart sensor provides digital depth, speed and temp to any existing NMEA 2K network. Includes 2m drop cable to connect to your existing NMEA 2k Backbone. 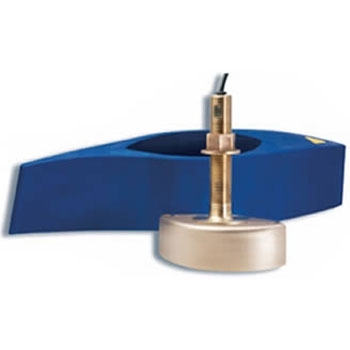 Standard Horizon B60 20 Bronze Low Profile Thru-Hull Transducer with 20 degree tilted element and temp is designed to work on boats with deadrise between 16 and 24 degrees. Does not need Fairing Block. The Garmin B164 1kw Bronze Low Profile Thru-Hull Transducer with 20 degree tilted element is perfect for trailered boats with deadrise between 16 and 24 degrees. Includes temperature and does not need Fairing Block. The Garmin B164 12 1kw Bronze Low Profile Thru-Hull Transducer with 12 degree tilted element is perfect for trailered boats with deadrise between 8 and 16 degrees. Includes temperature and does not need Fairing Block. The Furuno B164 12 1kw Bronze Low Profile Thru-Hull Transducer with 12 degree tilted element is perfect for trailered boats with deadrise between 8 and 16 degrees. Includes temperature and does not need Fairing Block. 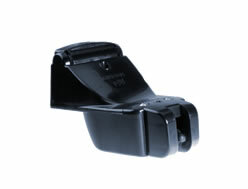 The Garmin B117 600W Bronze Low Profile Thru-Hull Transducer works on boats with up to 7 degree deadrise. Includes temp and does not need Fairing Block. Garmin part# 010-10182-01. 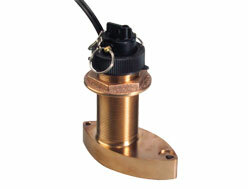 The Raymarine E66014, B117 Bronze Low Profile Thru-Hull Transducer works on boats with up to 7 degree deadrise. Does not need Fairing Block. Lowrance B60 20 Bronze Low Profile Thru-Hull Transducer with 20 degree tilted element and temp. 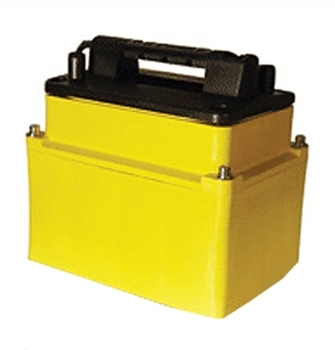 Works on boats with deadrise between 16 and 24 degrees. Does not need Fairing Block. 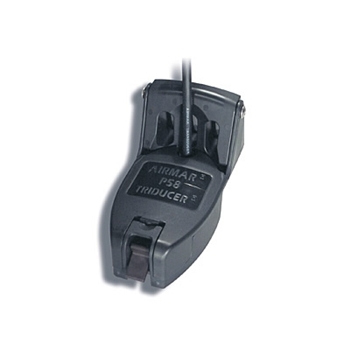 Compatible with Lowrance Blue Connector and Simrad NSS/NSE/BSM-1. The Raymarine E66085, B60 20 Bronze Low Profile Thruhull Transducer with 20 degree tilted element and temp is designed to work on boats with deadrise between 16 and 24 degrees. Does not need Fairing Block. (Depth/Temp). The Lowrance B164 12 1kw Bronze Low Profile Thru-Hull Transducer with 12 degree tilted element is perfect for trailered boats with deadrise between 8 and 16 degrees. Includes temperature and does not need Fairing Block. 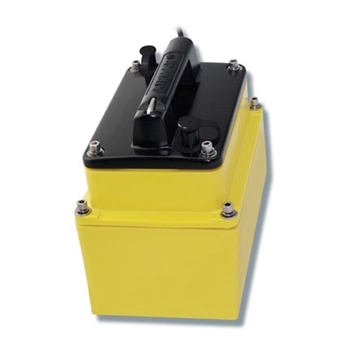 The Sitex Transom Mount Dual Frequency, 600W Transducer provides accurate depth, speed and temperature readings to your Sitex CVS-126, CVS-1410, SVS-650 fishfinder, SVS560CF or SVS-760CF. 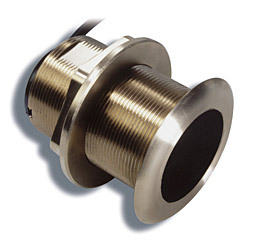 Sitex B60 12 Bronze Low Profile Thru-Hull Transducer with 12 degree tilted element and temp is designed for boats with deadrise between 8 and 16 degrees. For SVS560CF, SVS650, CVS126, CVS128, CVS1410 and SVS-760CF. Does not need Fairing Block. The Navico B164 20 1kw Bronze Low Profile Thru-Hull Transducer with 20 degree tilted element is perfect for trailered boats with deadrise between 16 and 24 degrees. Includes temperature and does not need Fairing Block. The Lowrance Transom Mount Skimmer Transducer, HST-DFSBL has a sleek design for better water flow which leads to more accurate depth readings. 50/200khz Dual Frequency. 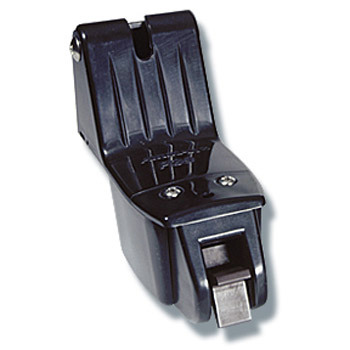 Compatible with Lowrance Blue Connector and Simrad NSS/NSE/BSM-1. 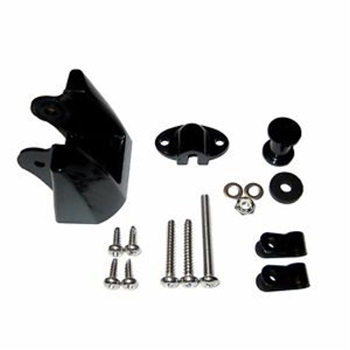 Raymarine A66089, M260 1kW Transducer with In-Hull Mounting Kit. Perfect for high speed fishing boats or for anyone who does not want to cut a hole in their boat's hull. The Furuno 235DST-MSE is a Thru-Hull Smart Sensor that operates at 235khz so that it will not interfere with your 200khz fishfinder. This transducer will provide numerical depth, speed and temperature readings to your compatible Furuno display. The Furuno DT-800PSF is a plastic thru-hull smart sensor transducer that reads Depth and Temp and operates at 235khz so that it will not interfere with your 200khz fishfinder. Furuno 526TID-HDN 1kW Bronze Thru-Hull Transducer with High Speed Fairing Block is a must have for any serious recreational or commercial fisherman. Broadband Technology provides excellent fishfinding and detection. The Raymarine Transom Mount Transducer for Clearpulse sonar provides accurate Depth, Speed and Temperature to your Raymarine Sounder. 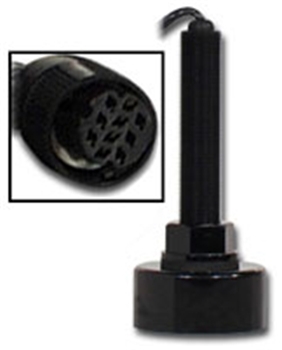 The P58 style transducer allows for clean water flow across the surface of the transducer for better readings.